Rabbit netting – or 1050-31-19 as it is sometimes known, is another rapidly growing product due to the population boom of rabbits. The 1050 refers to the height, 1,050 mm, the 31 means the hexagonal holes are 31mm in size and the 19 refers to the gauge of the wire. All rabbit netting comes in 50 metre rolls. 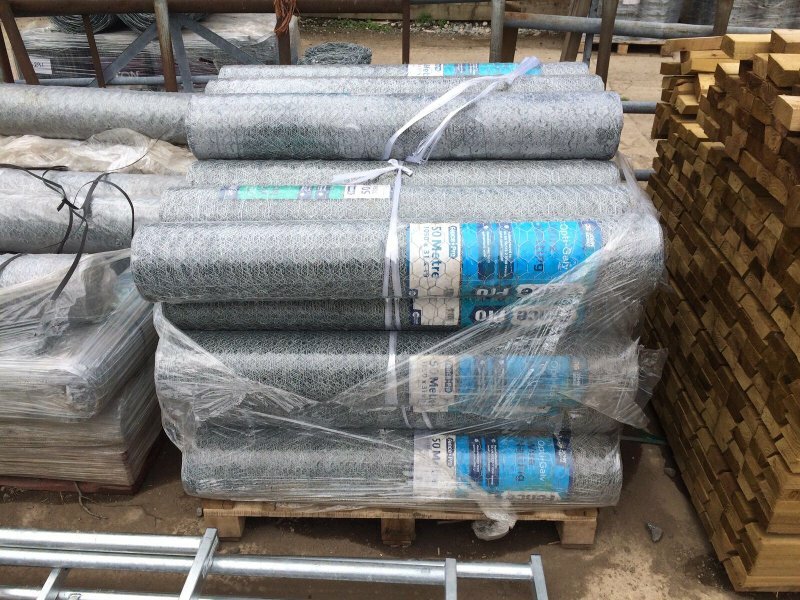 We also sell a lot of 1.2M high netting. Rabbit netting can come in 18 gauge as well. This is slightly thicker and is used by the Forestry Commission for example.